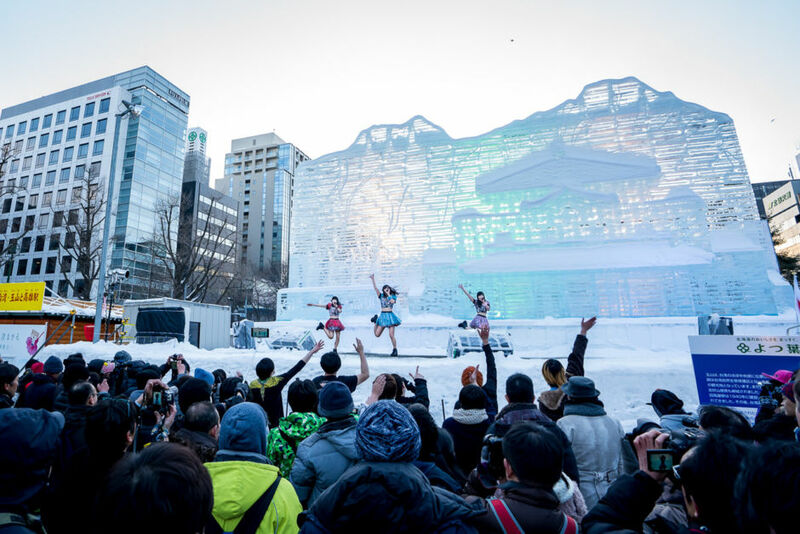 In February of this year, we traveled to Sapporo, in Japan’s northern island of Hokkaido, to see the annual Sapporo Ice Festival. The festival has grown from six sculptures in 1950 to entire city neighborhoods dedicated to ice sculptures and other wintry activities — from ice skating to ski jumping. Every year, teams of designers and ice sculptors come from around the world to fashion their stunning ice creations. 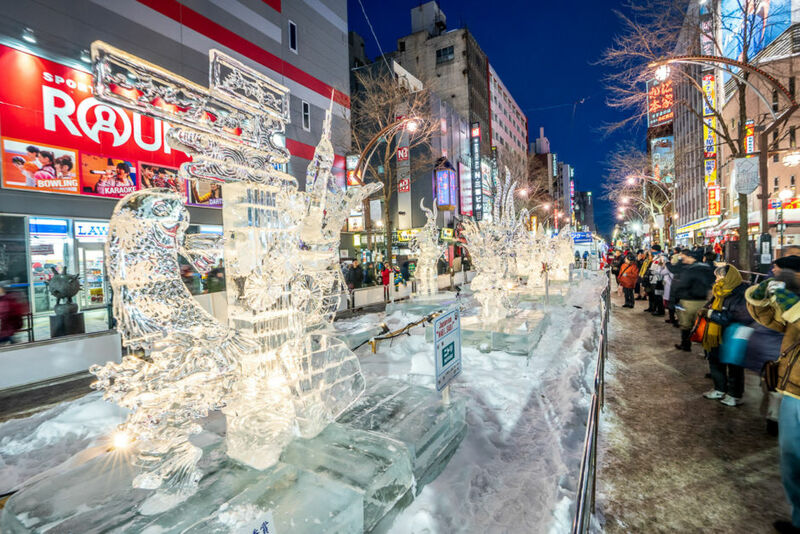 Around two million people travel to northern Japan for the Sapporo Snow Festival to see the hundreds of snow and ice sculptures built by both professionals and amateurs. The first festival was held in 1950, and it has grown exponentially since then. 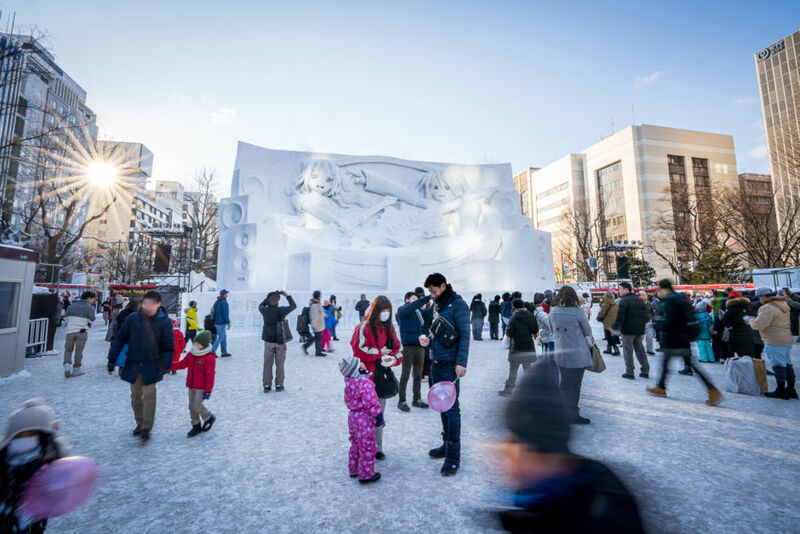 We arrive by subway and walk out of the station in Odori Park to the sight of a towering snow sculpture carved to perfection. 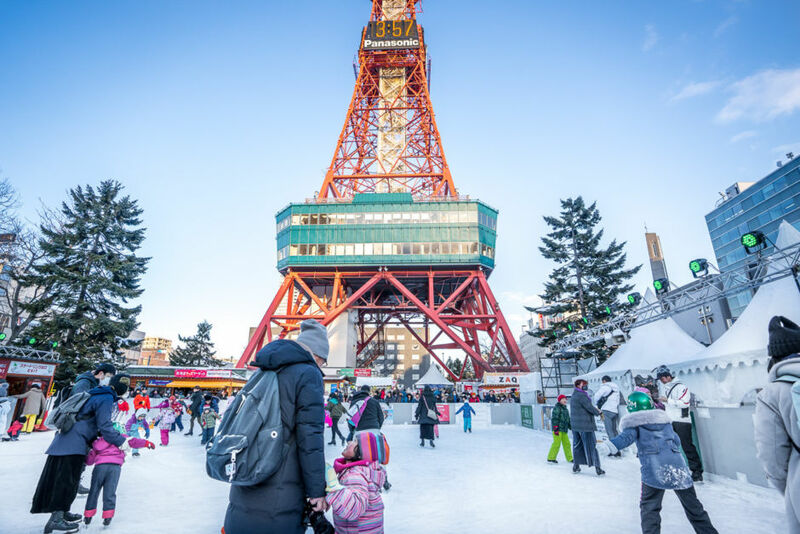 As we meander through Odori Park, we come across a massive ski slope, an unexpected sight in the middle of a city boasting nearly two million residents. 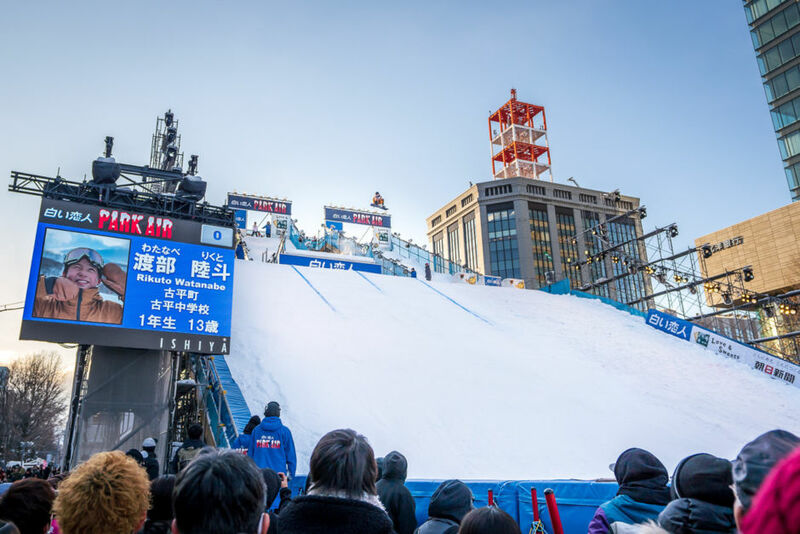 We join a lingering crowd and watch young snowboarders cruise off a jump and down the slope, cheering at the incredible tricks they are able to accomplish while soaring through the air. The festival isn’t just about snow and ice. 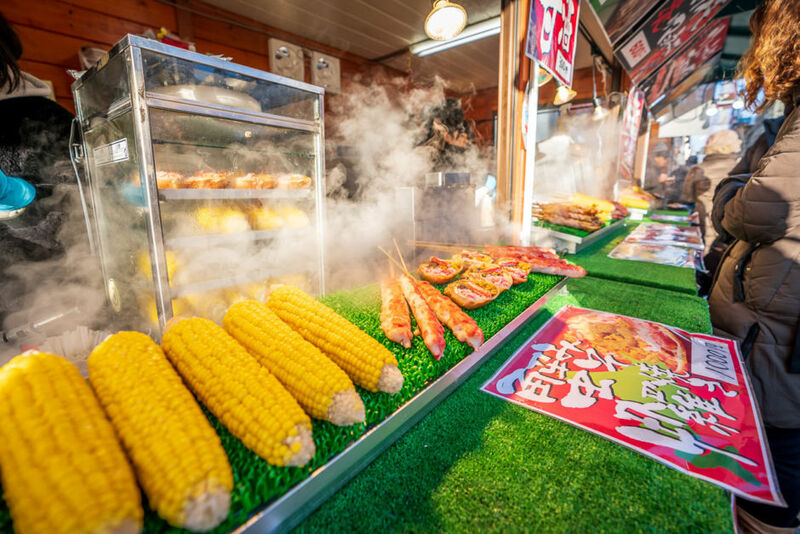 Food carts and vendors line the streets, offering tasty food to the many bundled visitors. We buy a few mochis, or small rice cakes, on a stick for something to snack on as we walk around. 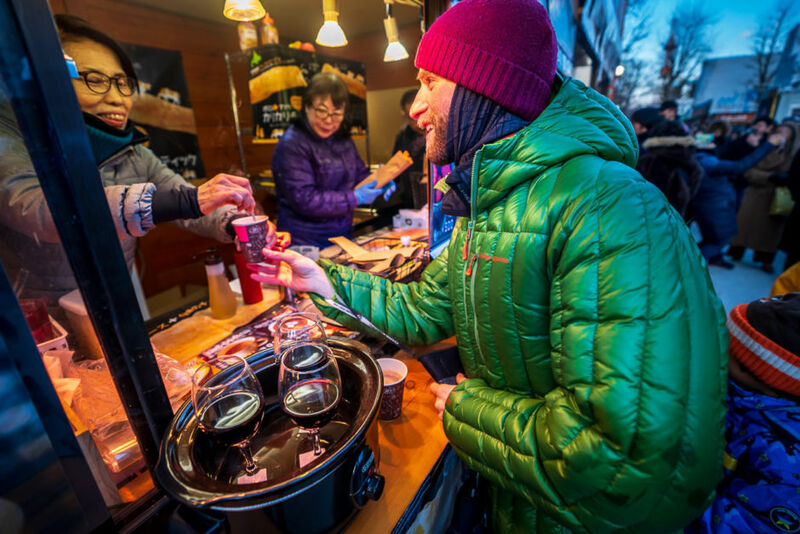 Interactive activities like ice skating give festival-goers a chance to have fun and stay warm in the chilly winter air. The ice skating rink is at the base of the Sapporo TV Tower, which rises above the park at 483 feet. We watch other visitors both succeed and fail while trying their luck on the ice. As the lingering dusk draws nearer, we stop and grab a few hot drinks to keep the cold at bay. Booths lining the walkways offer everything from warmed wine to steaming tea, and though the servings are on the small side, we treasure our tiny bit of cocoa until the last drop. Singers and dancers begin to appear on the many stages as daylight slowly fades. Colorful lights begin to illuminate the sculptures, adding a layer of depth to them and the performances for which they serve as a unique backdrop. 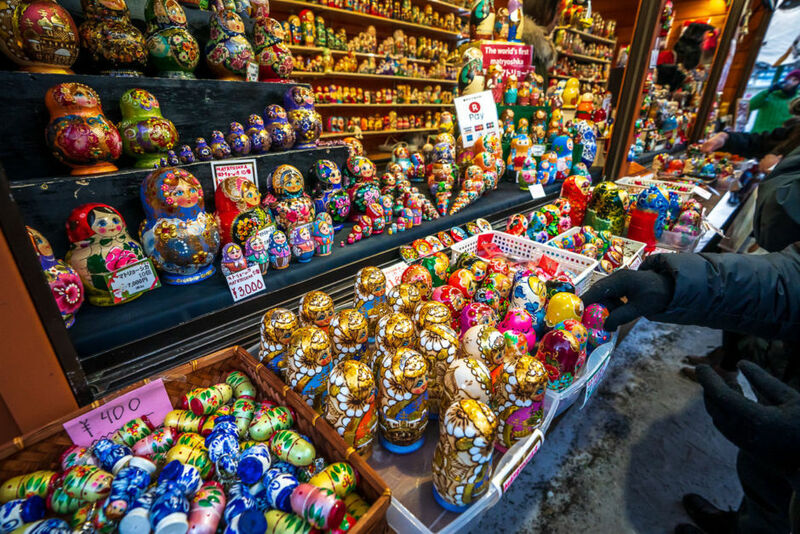 Trinkets and souvenirs from around the world fill the small shops that are scattered throughout the park, adding color to the mostly white and gray festival. We wander from vendor to vendor as tourists crowd the shops and make purchases, hoping to bring a little piece of the festival home with them. 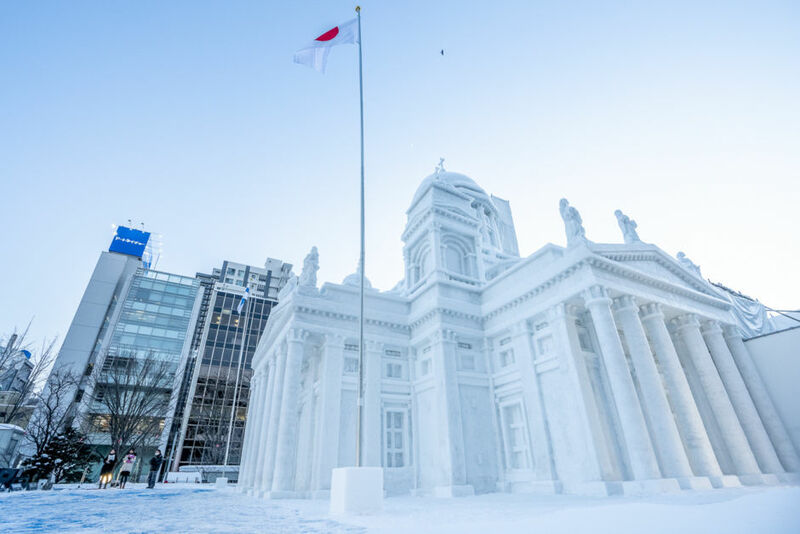 We stumble upon one of the most impressive snow sculptures at the festival, a likeness of the Helsinki Cathedral in Finland. A nearby sign details the various steps that nine teams of about 15 people took to building the 52-foot-tall ice creation. 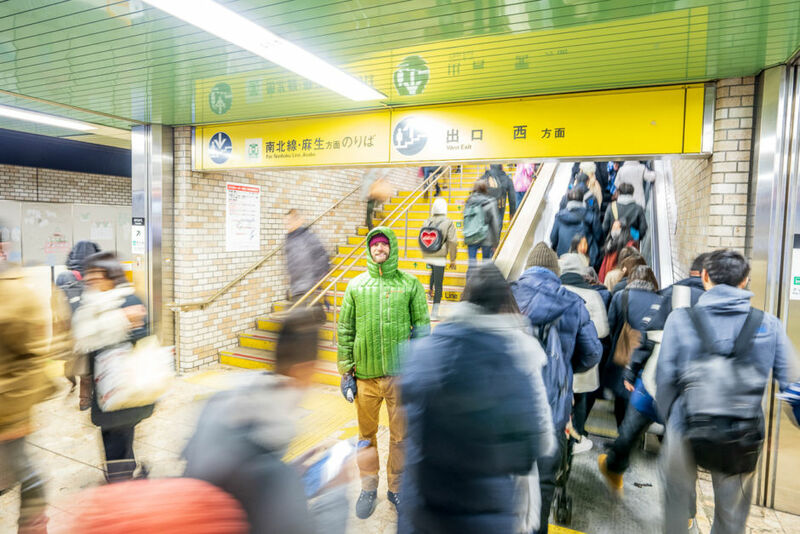 The subway system is very easy to understand and is a must for navigating the city. A quick ride gets us to the various locations of the festival, which are strewn about the city. The main sites include Odori Park, Susukino, and Tsudome. Our subway ride takes us to the Susukino Ice World. This area of the festival is home to the incredibly detailed ice sculptures, like this first prize winner. Illuminated at night and surrounded by the bright lights of downtown Sapporo and hundreds of restaurants, the sculptures take on the colors around them. After a day of viewing incredible ice sculptures, we head to the Unwind Hotel. Located in the heart of the city, the hotel mimics a cozy ski lodge - perfect for battling the cold winter nights. 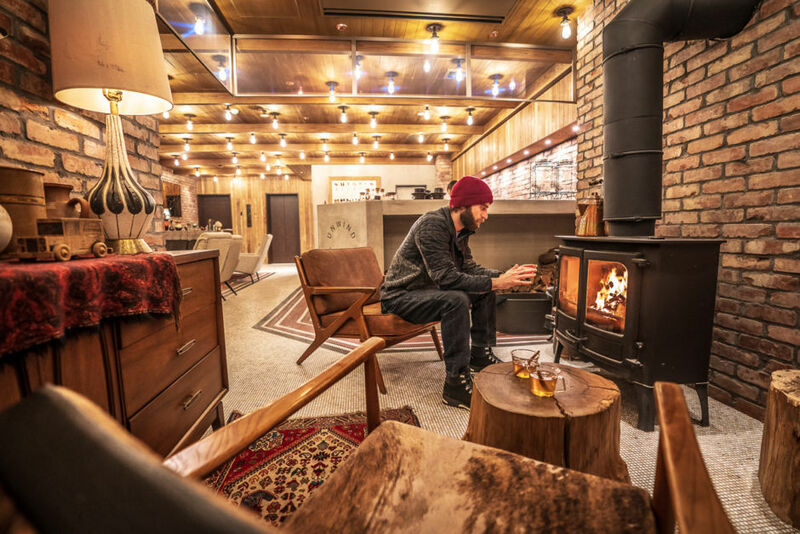 We sip hot cider and warm up by the lobby’s toasty fireplace.